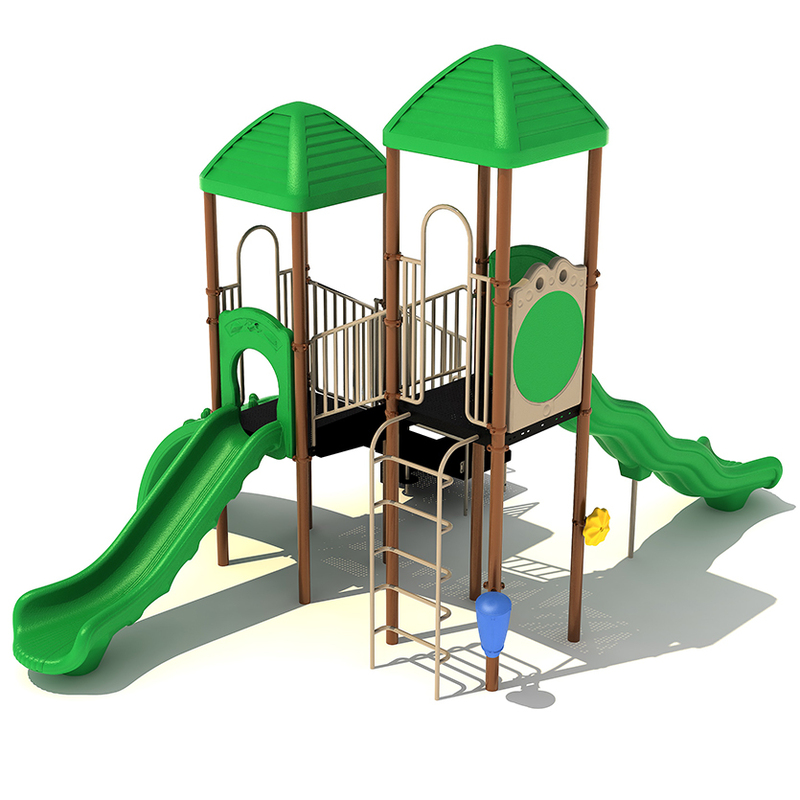 The Burbank play structure features a simple design that makes the unit compact enough to fit in smaller spaces. 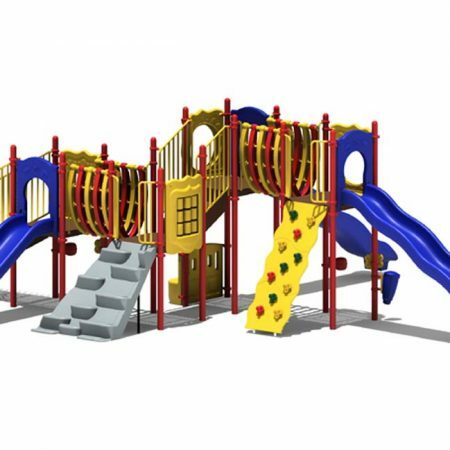 But that does not mean that fun has been put aside! 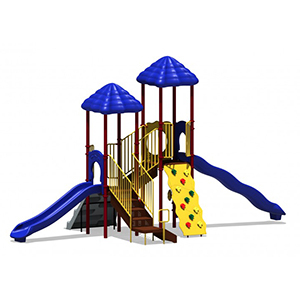 Children can enjoy a challenging climb on the vertical ladder or the sea creature climber. 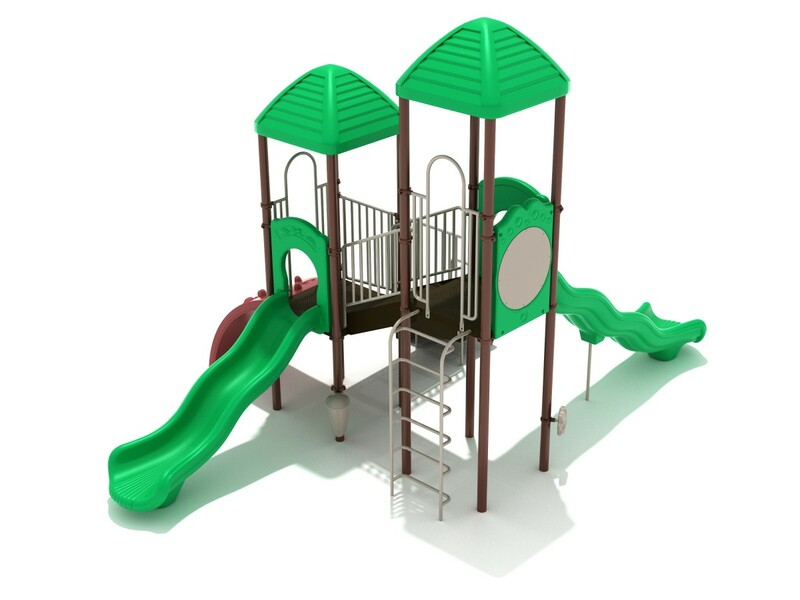 The Burbank play structure features a simple design that makes the unit compact enough to fit in smaller spaces. But that does not mean that fun has been put aside! 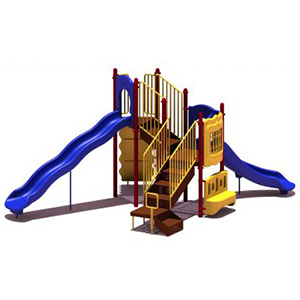 Children can enjoy a challenging climb on the vertical ladder or the sea creature climber. 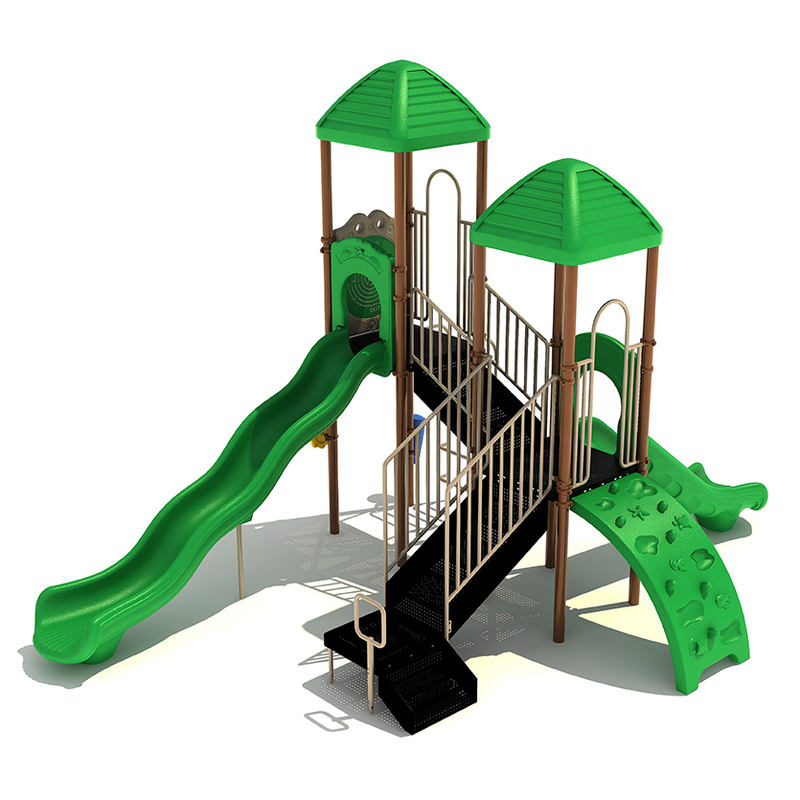 A transfer station with stairs is also available to ascend the structure. 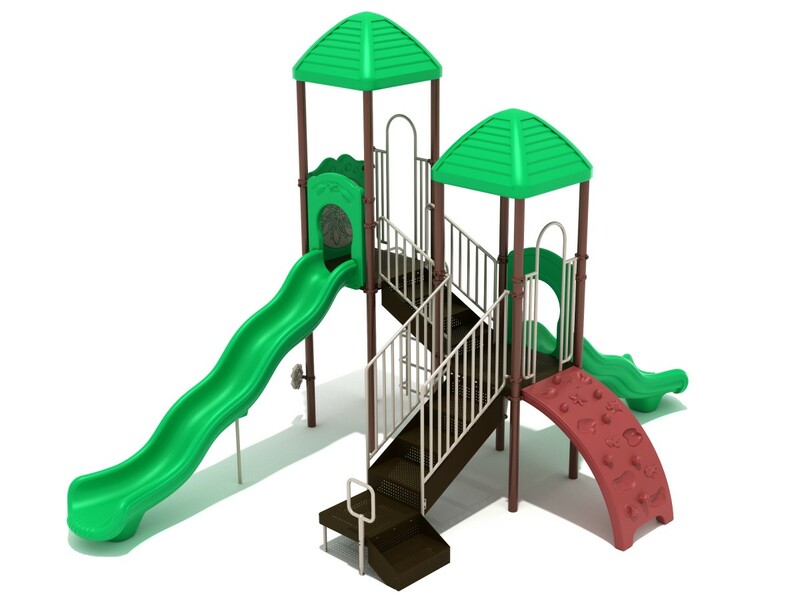 Leading down from the shorter deck is a straight slide, while a wave slide can be found on the taller deck. 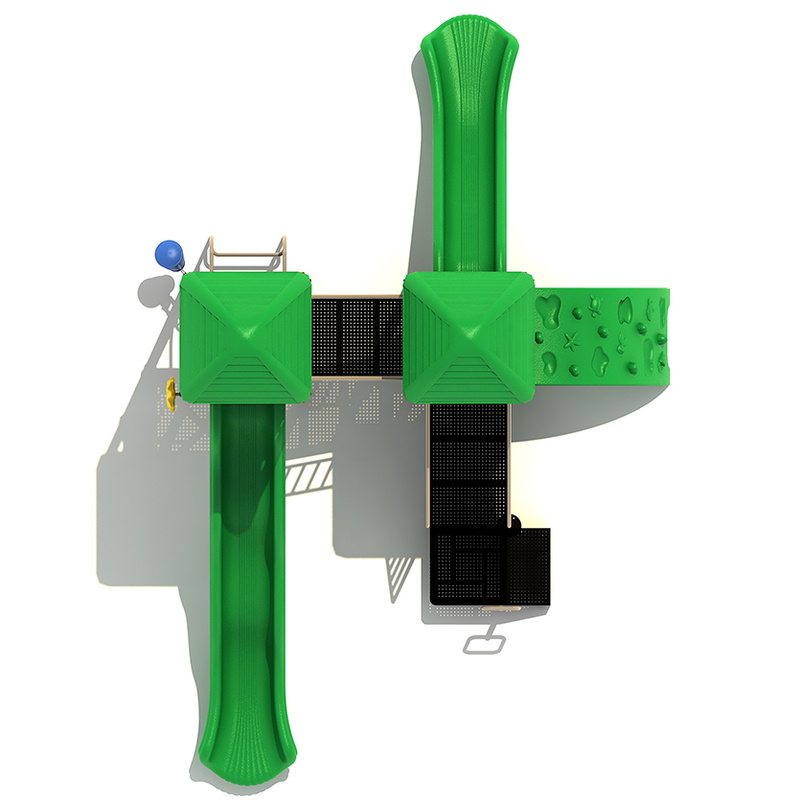 A maze panel on the taller deck allows for children to challenge their friends to see who can find the end of the maze first. Post-mounted at the ground level are a single drum and a rain wheel. 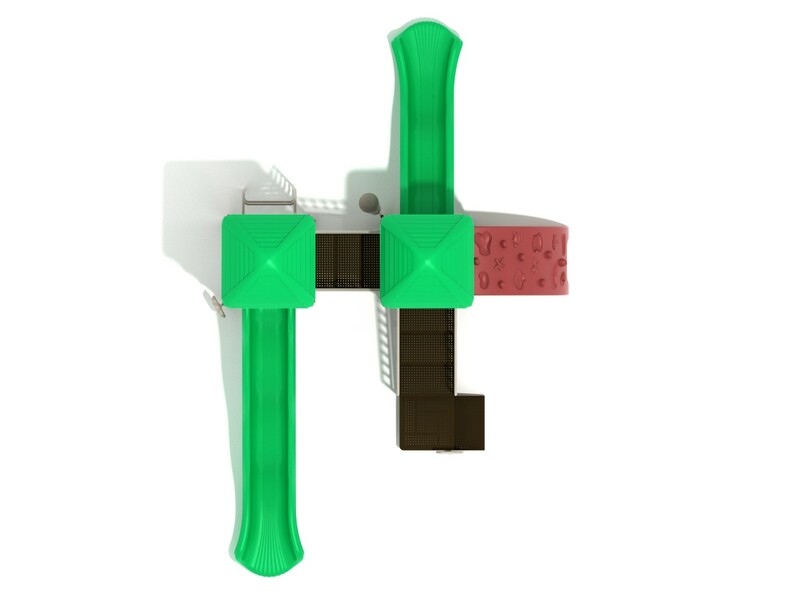 Children can work together to create a new tune with these items. A line roof shades each deck from the day’s sun, not only protecting kids from the sun but keeping equipment cooler on a hot day. 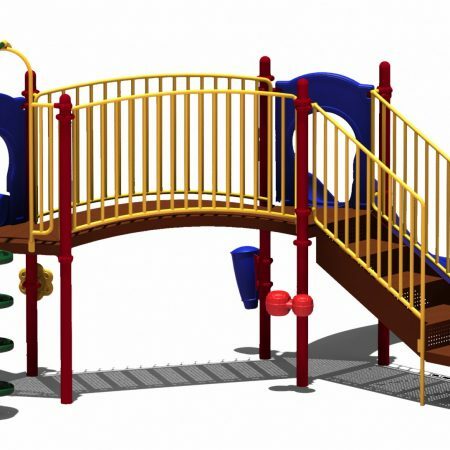 The Burbank play system is designed for the 2 to 12 year age range and is ADA compliant.